Woodstock, located in Ulster County NY, was founded in 1787. It has always been interwoven with the arts, music and civil rights. Rich with history and community involvement, Woodstock is always at the forefront of local controversy and healthy discussions. One thing is for certain in Woodstock, the housing market always holds its value. Thanks to the eclectic shops and restaurants, as well as the gorgeous homes surrounded by forests that offer incredible hikes, Woodstock real estate is highly desirable. For more specific Woodstock real estate searches, you can also view current listings of Woodstock multi-family homes, as well as Woodstock land for sale and commercial properties. Even though the infamous Woodstock Music Festival didn't actually take place in Woodstock—the festival site was in nearby Bethel—many outsiders naturally associate Woodstock with the hippie atmosphere and rural escape that the festival was known for. While Woodstock homes for sale are certainly surrounded by a gorgeous countryside area that is great for recreation and relaxation, the town itself has become a vibrant hub for artsy stores and boutiques, amazing dining experiences, and plenty of live theatre performances. The types of homes you'll find in the Woodstock real estate market include a wide variety of styles. The most affordable homes include cozy cabins, unique cottages, lovely arts and crafts homes, and spacious ranch-style homes, while the higher end of the market features sprawling Colonial mansions of properties that span several acres. But regardless of price and size, every home in Woodstock is surrounded by dozens of lush trees and grass, and even the homes near the town center have generously sized yards. Many residents have used this as an opportunity to create their own gardens, which only adds to the natural beauty of the town. Woodstock is home to around 6,000 residents, many of whom love to gather at one of the town's cafes and talk about community issues and events, or just people watch. The shops along Tinker Street (the town's main commercial street) have, for the most part, transformed from hippie stories to boutiques over the years, although there is still a balance between the old and new when it comes to shopping. You'll find shops that feature extremely fashionable clothing as well as items for the outdoor recreational lifestyle. You'll also find several artisan stores that features a nice selection of ceramics and textiles. Restaurants in the area include, but are not limited to, the fine Italian dishes at Cucina, vintage vegetarian meals at Garden Cafe On The Green, casual food at Tinker Taco Lab, and the pub atmosphere at the likes of Landau Grill and Catskill Mountain Pizza Co. After dinner, you can enjoy cocktails at Commune Saloon and go to a live show at the Bearsville Theater. For those who enjoy hiking, you'll be hard pressed to find a better group of hikes than the trails around Woodstock. From the super-popular Overlook Mountain Trail that will give you a rewarding view of the valley from the top to the numerous waterfall hikes nearby, the area surrounding Woodstock is ideal for those residents who are active and outdoorsy. 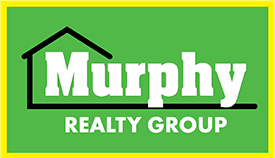 To have future real estate listings in Woodstock or any other Ulster County community emailed directly to you, register for free with Murphy Realty Group. If you have any additional questions about these homes, contact us today.